University Communications advances the mission and worldwide reputation of the University of Miami through powerful storytelling, strategic marketing, and swift delivery of information across internal and external channels. We provide robust resources to help our outstanding schools, colleges, and administrative units do the same. Our award-winning team of news and feature writers, editors, graphic designers, videographers, social media specialists, and web and digital content developers are eager to help you elevate the voices that strengthen the identity and impact of the U. We are the writers, editors, and creative designers who produce the University’s flagship print and electronic publications; assist schools, colleges, and administrative units with marketing deliverables for high-profile initiatives; and ensure the authenticity, consistency, and resonance of the University’s brand. We are responsible for designing and managing the University’s miami.edu homepage and its top-tier websites. We also govern the University’s web content management systems, assist academic and administrative units with website development, and deploy digital displays and mobile solutions. We create and curate engaging video and multimedia content across the University’s main social media sites, monitor all sites, and respond to user comments. We also oversee location and commercial shoots, live streaming of events, transcription services, and other needs that arise for special events on campus. We enhance the global reputation of the University by communicating its achievements, faculty research, student successes, programs and events to the local, regional, national, and international news media. Our news writers and public relations specialists respond to daily media requests for information and faculty experts. We enhance the experience of working at the U by sharing news, stories, and events to help faculty and staff stay connected. 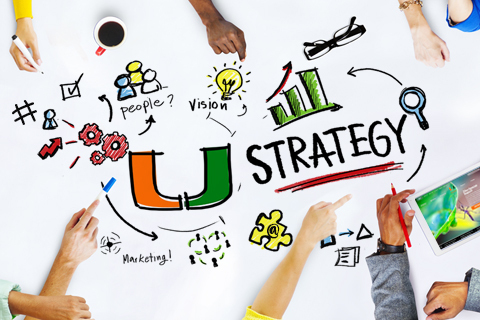 We manage strategic communications campaigns for Life@TheU, Corporate Run, Week of Well-Being, ’Canes Total Rewards Open Enrollment, and more. 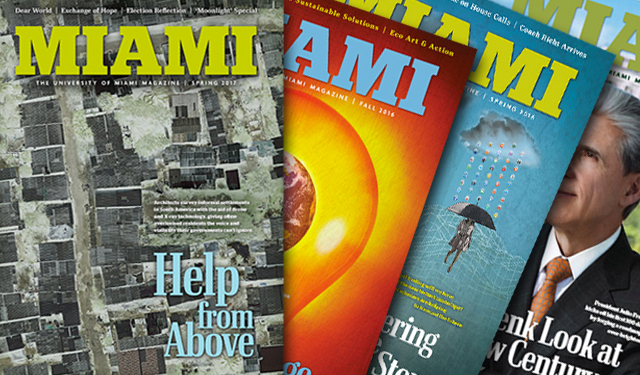 Miami: The University of Miami Magazine showcases engaging features, news, and profiles to keep our alumni and friends well informed about the U. 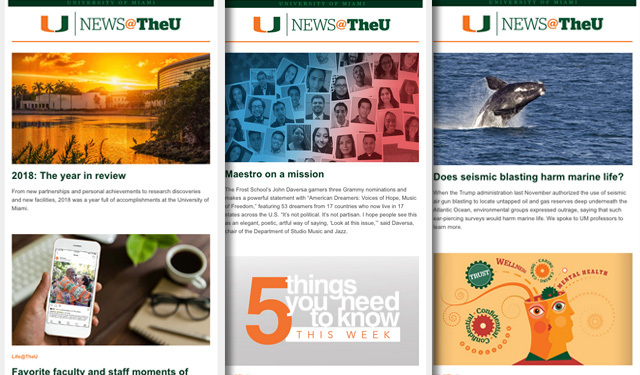 News@TheU provides University of Miami faculty, staff, students, and community with a roundup of UM news, information, and events every day, except holidays. 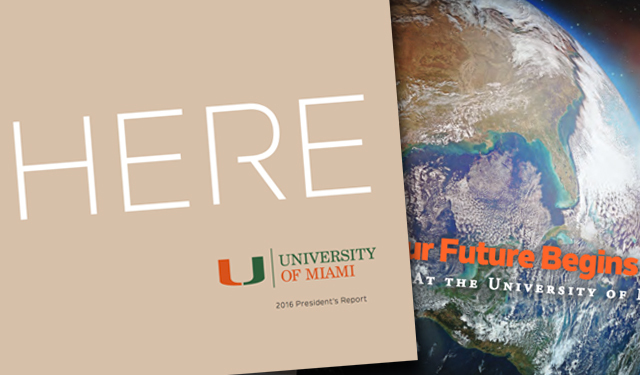 The President’s Report summarizes major accomplishments of the University each year for trustees, donors, faculty, and the community. 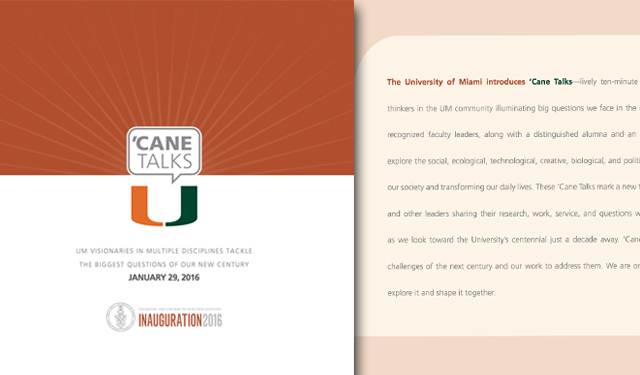 'Cane Talks are lively ten-minute presentations by leading University thinkers that explore ideas shaping society, and transforming lives.